Outdoor Playhouse Washington: Build One This Spring! Spring is now here, and if you have kids in school, then you know that there are only a few weeks left until the semester is over. This means that your little ones will soon be home all day, and before you know it, they’ll be asking you what they can do or trying to get their chores done as quickly as possible so that they can plop down in front of the TV again. 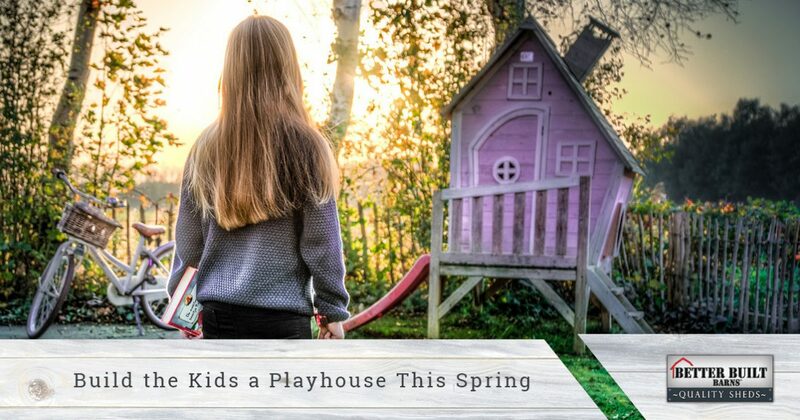 At Better Built Barns in Washington, we love helping people find the perfect custom sheds, and this spring, why not build your kids a new outdoor playhouse that they can use until school starts again in the fall? If your kids like to spend the majority of their summer vacation playing video games or watching their favorite shows, then you probably try to find ways to get them out of the house and into the fresh air. They might like playing outside, but you know they’d rather be in front of a screen than running around the backyard. With a new outdoor playhouse, they can spend more time in the yard, even if they’re inside the playhouse. They can have board games, toys, and other things to play with, and if nothing else, they’ll disconnect from the electronics for a little while. Kids have fantastic imaginations, and as they’re running around the backyard this summer, they’ll likely come up with some new games and adventures. A new playhouse can give them a blank canvas that they can fill with their designs and ideas, whether that’s drawings they put on the wall or a special toy that sits on a shelf. 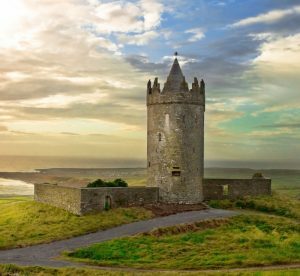 A playhouse can become something more than a building with four walls and roof – it can become a castle, a spaceport, or anything else your child can imagine! At Better Built Barns, we’re always excited to meet new people and discover what type of custom building they need. If you’ve been trying to think of new ways to get the kids out of the house and into the fresh air once summer vacation starts, then get started by contacting us today. We’ll walk you through our design and installation process, and can help you make sure that your preferred site is ready for the new playhouse. Once the new building is up, you and your kids can set to work on making a unique place where they can have hours upon hours of fun. Contact us today by using the form below, or you can call us at (253) 537-3144 in Lakewood. We have a number of great options to choose from, and our team will gladly help you choose the best one for your property. Before you know it, your building will be up and your kids will be counting down the minutes until they can go outside and play all spring and summer.